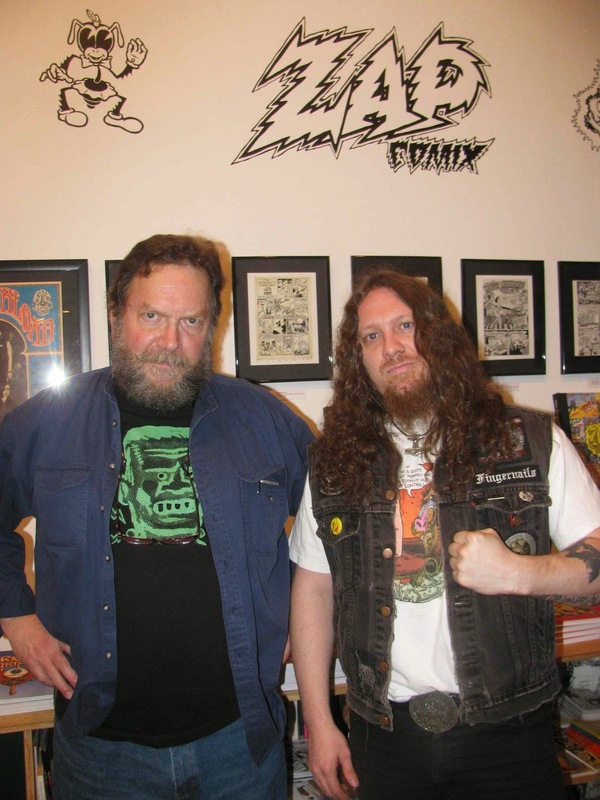 Thanks to EVERYONE who came out to Fantagraphics Books this weekend to celebrate Zap Comix and the genius of S. Clay Wilson! It was a small but very DEEP crowd...with a few mind blowing surprises. Blaine Cook arrived with Wilson's original art for the Accüsed, which had never before been viewed in public! And then John Doe of X stopped by to say hello. WTF?!?! I couldn't orchestrate a more perfect book signing if I tried.